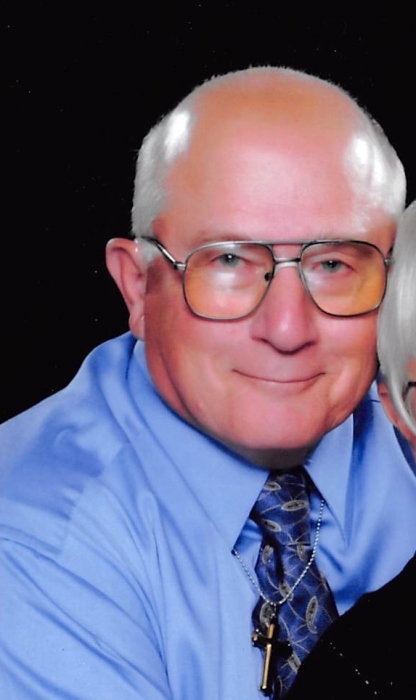 Obituary for Richard E. Zachrich | Schaffer Funeral Home, Inc.
Richard E. Zachrich, 70, of Holgate, went home to be with his Lord and Savior, surrounded by his family on Sunday, June 24, 2018 at Parkview Regional Medical Center in Fort Wayne, Indiana. He was born on July 7, 1947 to the late Eugene and Erma (Grossman) Zachrich in Napoleon, OH. Richard was a 1966 graduate of Ayersville High School. On August 2, 1969 he married Linda (Conley) Zachrich, who resides in Holgate. Richard was a faithful member of St Stephen Lutheran Church. He worked at Tenneco Corp. for over 41 years, retiring in 2009. He also worked for Robert Dawson Construction and did tiling for Lynn Davis. In his leisure time he enjoyed touring on his motorcycles, road trips, fishing, and most of all spending time with his family. He enjoyed working with wood at his sawmill, or working out in his barn. His greatest joy was proudly attending his grandchildren's activities. Richard will be remembered for his kind and compassionate nature. He had a big heart who never met a stranger, and was always willing to help anyone. He will be truly missed by his family and many good friends. Richard is survived by his loving wife of 48 years, Linda Zachrich of Holgate, daughters, Aimee (Terry) Gibson of Convoy, Charlotte Renee (Mike) Slattman of Wauseon, eight grandchildren; Justin, Jared and Joshua Gibson, Taylor and Olivia Rodriguez, and Cameron, Alex, and Lela Slattman, brother, Larry Zachrich of Defiance, sisters, Kathleen Zachrich of Archbold, Irene (Tom) Goltzene of West Palm Beach, FL, Eileen (Tom) Ramus of New Bavaria, and Ruth Ann (Jim) Ankney of Holgate, along with several nieces and nephews. In addition to his parents, he was preceded in death by two nephews, Jamey Ankney and Corey Ankney. Visitation will be held from 2:00 to 8:00 pm on Thursday, June 28, 2018 at Schaffer Funeral Home in Defiance, and for one hour prior to services at the church. Funeral services will be held at 11:00 am on Friday, June 29, 2018 at St. Stephen Lutheran Church, with Rev. William Stottlemyer officiating. Burial will follow the service at St. Stephen Lutheran Cemetery. Memorials are suggested to St. Stephen Lutheran Church. Online condolences can be given at www.Schafferfh.com.